Sectional garage doors are one of our most popular styles, and it’s no surprise why. Attractive and functional, here are four reasons that make sectional garage doors the first choice for so many homeowners. Whether your home has a modern aesthetic or a more traditional design, our sectional garage doors are available in a range of colours and styles to match. From crisp white GRP doors with Georgian panels to windowed doors in natural timber (and everything between), we are sure you’ll find a sectional garage door that blends perfectly with your architecture and boosts the curb appeal of your property. All of our sectional garage doors can be fitted with a 45mm insulating core, helping you to keep your home toasty and your energy bills low. Garage insulation has been shown to go a long way in reducing the heat loss from your home and is ideal if your garage is used as more than a storage space. Whether it doubles up as a gym, office, studio or chill-out room, a little insulation on the inside of your doors will go a long way in keeping you snug. Sectional doors lift vertically and fold back piece by piece along the ceiling of your garage. There is no “kick out” like you would find with an up-and-over style, which means that no matter how close you park to the front of your garage, you won’t need to worry about accidentally grazing your bumper every time you open the door. While this is a nice convenience for any home, it’s particularly helpful if you have a busy driveway without much extra space! At Wessex Garage Doors, we fit all of our sectional garage doors with security locking as standard, but this doesn’t mean they’re tough to open – in fact, sectional doors can be easily fitted with an automation device. Opening and closing your door is as easy as the click of a button, but you can sleep soundly at night, knowing that your belongings are safe from intruders. 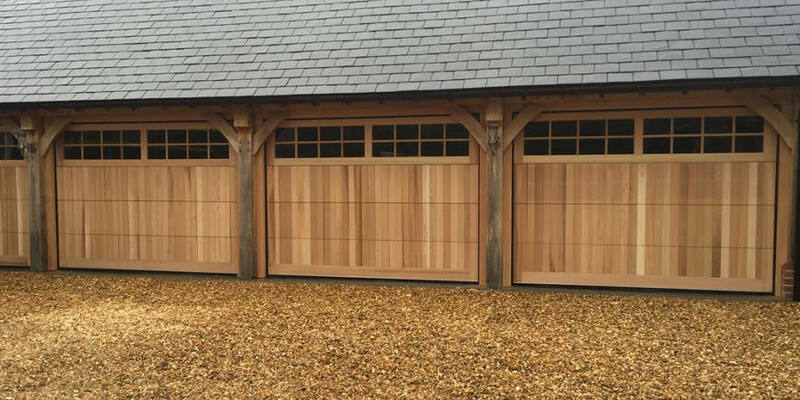 For more information about our range of sectional garage doors, contact us today.